Sharing is caring! Nothing is stronger than a parent’s love for his or her children. Those who haven’t had children can’t possibly understand this. 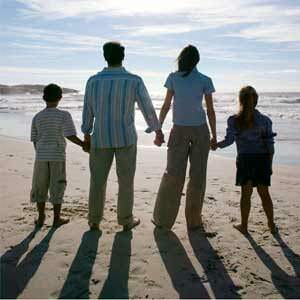 A parent’s love is so strong that personal dreams are pushed aside in a selfless act to raise a family. But too many times a frustrated parent ends up taking it out on the child. “After all I’ve done for you” is a classic retort from a parent who is all about the duties of parenting, but sacrificing dreams in the process. Even worse is that parent that didn’t achieve a dream and pushes the child in the same direction. Hopefully your parents had this simple philosophy. Leading by example is the best “pay it forward” lesson you can teach to your children so that they, too, can live life in crescendo!